Nokia 7.1 India Launch – 30th November – Nokia 7.1 was first introduced Globally on 5th October and now the company has officially launched it in India. The Nokia 7.1 with 4GB RAM/64GB Storage is available in two color options – Gloss Midnight Blue and Gloss Steel and will go on sale in India through offline retail stores at ₹19,999 starting 7th December. You can also buy this device through the Nokia Online Store. Buyer can avail up to 10% cashback on HDFC card transactions done through Pinelabs terminals in offline stores. Also, Airtel prepaid customers will get 1TB of 4G Data on eligible plans starting ₹199 and the Airtel postpaid customers will get 120GB 4G Data along with 3-months of Netflix subscription and 1-year of Amazon Prime subscription on plans starting ₹499. Find the features and full specifications below. 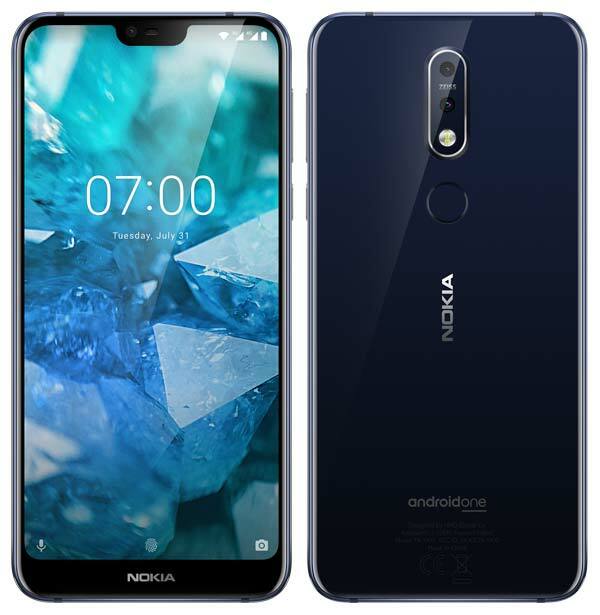 Earlier – Nokia 7.1 Global Launch – 5th October 2018: Nokia today announces Nokia 7.1, the successor of last years Nokia 7 at an event held in London. The key highlight of this smartphone is the Full View Display with PureDisplay technology. The 5.84-inch display has a high contrast ratio, greater clarity and enhanced colors for better viewing experience. It is also the first smartphone to come with PureDisplay screen technology for better HDR cinematic experience. It houses a Dual SIM tray with Hybrid setup and comes with a rear-mounted fingerprint scanner. Under the hood is Snapdragon 636 Mobile Platform with fast charge supported 3,060mAh battery. It is available in two configurations – 3GB/32GB and 4GB/64GB. The Nokia 7.1 has a 12MP + 5MP dual camera setup on the rear side that supports two-phase detection for fast autofocus. The front camera has an 8MP sensor and supports Portrait mode. Similar to other Nokia devices, Nokia 7.1 also comes under Google’s Android One Program and will receive monthly security updates for 3 years and also two major OS upgrades. Out of the box it runs on Android 8.1 Oreo and will receive the Android Pie update in the coming months. The Nokia 7.1 is offered in Gloss Midnight Blue and Gloss Steel and is available in selected markets starting October 2018. The 3GB/32GB priced at €319 (Approx. ₹27,200) while the 4GB/64GB variant priced at €349 (Approx. ₹30,000).